"This highly readable textbook successfully combines the best of the science and humanism of cultural anthropology, using fascinating examples from both the history and the cutting edge of the discipline." "When I choose texts for my introductory cultural anthropology course, I look for ones that include an engaging narrative voice, ground the lower-division anthropology student in the usefulness and humanity of the discipline, and get students excited about the prospect of becoming anthropologists. Inside Cultures hits the mark. Remarkably exhaustive without being overwhelming, the book is a clearly written inventory of the subject matter, methodologies, and central theories of cultural anthropology. Yet it also generates energy through an engaging tone and vibrant examples that make it easy for instructors to demonstrate their respect for anthropology, and for students to fall in love with it. 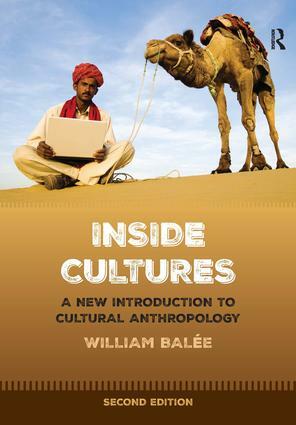 Inside Cultures is not just a textbook, it's a thoroughly delightful invitation to the discipline." William Balée is Professor of Anthropology at Tulane University. He has taught cultural anthropology at Tulane since 1991. He received a Ph.D. (1984) degrees in anthropology from Columbia University. His doctoral dissertation was based on fieldwork he carried out among the Tupi-speaking Ka'apor Indians of the eastern Brazilian Amazon. He has continued to do fieldwork among the Ka'apor ever since, as well as among other indigenous lowland South American societies elsewhere in Brazil and in the tropical and subtropical forest regions of Bolivia and Argentina. He is the author of Footprints of the Forest: Ka'apor Ethnobotany: The Historical Ecology of Plant Utilization by an Amazonian People (1994), which won the Mary Klinger Award from the Society for Economic Botany. His other books include Resource Management in Amazonia: Indigenous and Folk Strategies (co-edited with D.A. Posey, 1989), Advances in Historical Ecology (edited, 1998), Time and Complexity in Historical Ecology: Studies in the Neotropical Lowlands (co-edited with C.L. Erickson, 2006), and A Brief Introduction to Historical Ecology (forthcoming in 2016, Routledge). He co-edits the New Frontiers in Historical Ecology Series for Routledge.